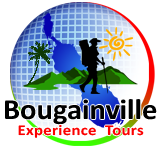 The tours on this website are operated by Bougainville Adventure Tours , which has its head office in Arawa , the Autonomous region of Bougainville (“BET”). These Booking Conditions contain important information. It is essential that you carefully read and understand them. The Booking Conditions constitute a legally binding contract between BET and you for the services provided by BET and set out the basis of your legal relationship with BET..
By booking with us and paying the non-refundable deposit of 50% per passenger, per trip, or full payment, you acknowledge that you have read, understood and agree to be legally bound by these Booking Conditions. Acceptance of your booking will be confirmed in writing to you or your travel agent, and a contract comes into existence on the date shown on your confirmation letter or email. Prices are on twin share basis, and based on costs and exchange rates applicable when this brochure was printed. BET reserves the right to impose surcharges up to 56 days before departure due to unfavorable changes in exchange rates. In such instances we will be responsible for the first 2% of the additional costs and you will be responsible for the balance. Dates and itineraries departing after 1 April 2015 are indicative only and subject to change. Passport and visa fees, travel insurance, excess baggage charges, airport taxes, gratuities to leaders and guides, extra meals, laundry, drinks, medical expenses, optional activities and trips, and any items of a personal nature are not included in your trip price. BET operates trips in regions where standards of accommodation, transport, safety, hygiene, medical facilities and other infrastructure may, at times, not be of the standard that you are used to at home. By booking with us you acknowledge that participation in all BET trips involves inherent risks that may not be present in the case of conventional or less demanding holidays. These risks include, without limitation, the possibility of injury or death, psychological trauma, disease, loss or damage to property, inconvenience and discomfort. When assessing whether trips will operate BET uses information from its local offices in conjunction with advice from the Australian Department of Foreign Affairs and Trade, the British Foreign Office and the US Department of State. It is your responsibility to accustom yourself with the travel advice provided by these government bodies, as well as that of your country of residency, before commencing the trip. By booking with BET you acknowledge your decision to travel on a BET trip is made after due consideration of relevant travel information that may be made available at any time. Except where stated otherwise, BET acts as agent for service providers when making arrangements for your trip. Where BET provides services it will do so with due care and skill. BET is not responsible for the acts and omissions of others, including tour guides, airlines and accommodation providers or for any loss, damage, death, injury or expense (including loss of money paid in advance), which you may incur as a consequence of the acts and omissions of others. You warrant that you have not relied on any representation made by BET, any travel agent or other Representative, which has not been stated expressly in this brochure. BET will not accept responsibility or liability if you contravene any law or regulation of any country or region visited. Any independent arrangements that you make that are not part of the BET trip (including pre- and post-accommodation) are entirely at your own risk and BET cannot and does not give you any assurance, representation or warranty in connection with any such arrangements. To the fullest extent permitted by law and subject to the exception set out below, BET does not accept liability for any loss, death, injury or damage, however caused (including through negligence), which you may directly or indirectly suffer in connection with or arising from this contract or your participation in a trip, or in respect of a failure or omission on the part of BET to comply with its obligations under this contract, or in respect of any other conduct that BET undertakes in connection with a trip. To the fullest extent permitted by law and subject to the exception set out below, you also agree to release BET and its officers, employees, agents and representatives (“Representatives”) from all costs, liability, loss and damage incurred by you in connection with your participation in any trip, and waive any associated claims that you may have against BET or its Representatives as a result of your participation in any trip. For these purposes, BET enters into these Booking Conditions as trustee or agent for its Representatives. To the fullest extent permitted by law and subject to the exception set out below, any condition or warranty, which would otherwise be implied into these Booking Conditions is excluded. Where legislation implies any condition or warranty, and that legislation prohibits us from excluding or modifying the application of, or our liability under, any such condition or warranty, that condition or warranty will be deemed included but our liability will be limited for a breach of that condition or warranty to one or more of the following: (a) if the breach relates to goods, (i) the replacement of the goods or the supply of equivalent goods, (ii) the repair of such goods, (iii) the payment of the cost of replacing the goods or of acquiring equivalent goods or (iv) the payment of the cost of having the goods repaired; and (b) if the breach relates to services, (i) the supplying of the services again or (ii) the payment of the cost of having the services supplied again. Exception The “Exclusion of Liability” section set out in these Booking Conditions does not attempt or purport to exclude, restrict or modify liability arising under, or remedies that may be available to you, pursuant to legislation where the exclusion, restriction or modification of liability or remedies is not permitted. This includes legislation in part of the Trade Practices Act 1974 (Cth), and any state or territory Fair Trading Act (or its equivalent). BET reserves the right to cancel a departure and will advise you of such cancellations no later than 30 days before the tour departure date. If due to ‘Force Majeure’ or government travel advice, BET reserves the right to cancel a departure at any time. With any form of cancellation, BET will offer you alternative arrangements, and if the price of your alternative booking is of lower value than the original booking we will refund the difference to you. If you do not accept alternative arrangements we will refund all payments you have made to BET, (in case of ‘Force Majeure’ or government travel advice refunds will be less any unrecoverable costs). BET will not be liable for any additional costs incurred by you. Force Majeure BET will not be liable for any delay in, change to or cancellation of trips due to ‘Force Majeure’. ‘Force Majeure’ means a circumstance beyond the reasonable control of BET and includes, but is not limited to, war or threat of war, riot, civil strife, terrorist activity, industrial dispute, disease, industrial or nuclear disaster, adverse weather conditions, fire and strikes. 56 days or more prior to departure – Loss of Deposit,Between 31 and 55 days of the departure – we will retain the deposit or 50% of the total booking cost, whichever is greater.30 days and less prior to departure – we will retain 100% paid by you in connection with the booking. Cancellation fees for air tickets issued by or on behalf of BET will apply as determined by Airline Tariff Regulations, and may vary as to the type of ticket issued. Depending on the reason for your cancellation, these charges may be recoverable under any insurance policy you have purchased. If you do not pay the balance of your total booking cost at least 56 days prior to departure your booking may be terminated and you will lose your deposit. Additional BET cancellation penalties may apply. No refunds will be made if you leave a trip for any reason after the trip has begun. No refunds will be made for any accommodation, transport, sightseeing, meals or services not utilised. If you wish to change your booking in any way, the following fees will apply: 1. Transfer from one tour to another. Amendment request received by BET 56 days or more prior to the original tour departure date: $150 per person per trip will be levied and must be paid prior to any transfer being confirmed. Amendment request received by BET within 56 days prior to the original tour departure date: charges will apply as per cancellation fees. 2. Amendments to your booking, in relation to any other arrangements made in conjunction with your tour (e.g. pre- and post tour accommodation, transfers, etc), received by BET within 56 days prior to tour departure date will be subject to a $100 administration fee per change. This fee is in addition to any charges levied by ground operators, hotels or airlines. 3. No amendments are permitted to your booking within 10 days of departure. You acknowledge that travelling with BET requires a degree of flexibility, good humour, and an understanding that the itinerary, accommodation, and/or modes of transport may change, even after a tour’s commencement, without prior notice due to local circumstances. Changes may occur because of ‘Force Majeure’, poor road conditions, weather, the availability of tickets, vehicle breakdowns, changes in transport schedules, or other circumstances beyond BET’ control or which simply cannot be foreseen. BET do not accept any responsibility for loss of enjoyment, delays or compensation resulting from circumstances beyond BET’ control. You acknowledge that group sizes may also vary during the duration of your tour. The information about trips given in this brochure, Trip Notes and Pre-Departure Information are subject to change. It is your responsibility to review the up-to-date Trip Notes and Pre-Departure Information. These can be obtained from BET, BET’ website or your travel agent. The information and conditions in the Trip Notes and Pre-Departure Information are deemed to be part of the contract. Where changes to your trip occur after you have received your final documentation we will, where practical, advise you or your travel agent of such changes. Bookings requests received by BET within 30 days before tour departure may require full payment before we can request a place on a tour. If we cannot confirm the booking we will refund you in full any monies paid to BET. BET will not be liable for any additional costs incurred by you. At all times the decision of the BET leader or representative (“BET Leader”) will be final on all matters likely to affect the safety and well-being of the trip. This includes any decision that the BET Leader makes about your on-going participation in the trip or certain activities that comprise part of the trip. If you fail to comply with a decision made by a BET Leader, or interfere with the well-being of the group, then the BET Leader reserves the right to terminate this contract and order you to leave the tour immediately, with no right of refund. If you have any complaint about your trip, you must make it known at the earliest opportunity to the leader and/or BET local representative, who will normally be able to take appropriate action. If at the end of the trip you feel your complaint has not been properly dealt with you must notify us in writing within 30 days of the end of your trip. Adequate and valid travel insurance is compulsory for all BET’ travellers. Your travel insurance must cover accidents, injury, illness and death medical expenses, including any related to pre-existing medical conditions, emergency repatriation (including helicopter rescue and air ambulance where applicable) and personal liability. BET also recommends it covers cancellation, curtailment and loss of luggage and personal effects. You must carry proof of insurance with you and produce it if reasonably requested by BET’ employees or suppliers. BET reserves the right to cancel or suspend your participation on a trip or in certain activities that comprise part of a trip, at any time, including after the commencement of your tour, with no right of refund, if you are unable to provide proof of insurance when requested. It is your responsibility that you carry a valid passport and have obtained the appropriate visas when travelling with BET. Please ensure that your passport is valid for 6 months beyond the duration of your holiday. It is your responsibility to advise BET of any pre-existing medical condition and/or disability that might reasonably be expected to increase the risk of you requiring medical attention, or that might affect the normal conduct of a tour and the enjoyment of other trip members. If requested by BET, or our suppliers, you may be required to provide an assessment of your medical condition by completing a special Health & Fitness Questionnaire and/or a Medical Clearance Form, the latter which requires certification by a medical practitioner. BET reserve the right, at its reasonable discretion, to cancel your booking and refund the money paid by you, less any unrecoverable costs. BET also reserves the right to cancel your participation in a trip at any time, including after the commencement of your trip, with no right of refund if your medical condition and/or disability could be reasonably expected to affect the normal conduct of the trip and the enjoyment of other trip members. Generally, we do not allow travellers under the age of 15 years on BET’ scheduled itineraries. However, on a trip by trip, basis, we will make exceptions for under-15s travelling with their legal guardian. The decision for any person under 15 years of age to travel on our scheduled itineraries is at the absolute discretion of the management of BET and the style and intensity of the trip. For further information please contact BET Adventures. You agree that BET may use images of you taken during the trip without recourse to you and without compensation to you, for publicity and promotion purposes only through whatever medium it chooses. Last minute deals require full payment immediately on booking. A completed booking form must be provided at the same time as payment. The tour is subject to availability. Up to 25% discount applies to the tour component only and does not apply to local payments, local flights, transfers, permits, visas and extra accommodation. Discount does NOT apply to existing bookings and cannot be used with any other discounts, including the loyalty discount. Prices are per person based on twin share and are subject to availability. Discount applies to selected departures only. BET reserve the right to discontinue the promotion at anytime without notice. 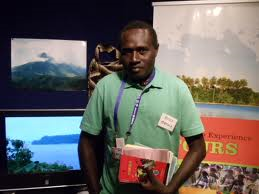 This agreement will be governed by and construed in accordance with the laws of Papua New Guinea and each party agrees to submit to the exclusive jurisdiction of the courts of Papua New Guinea regards any claim or matter arising under this agreement.